Kentucky Sen. and GOP presidential hopeful Rand Paul wanted to send a clear message to Congress as well as the American voting public that he is vehemently opposed to the current proposed budget that would once again raise the debt ceiling. The candidate repeatedly touched upon the importance of a planned filibuster over the course of the third GOP debate on Wednesday night. And on Thursday, Paul was set to face his fellow Republicans, fully prepared to speak for however many hours it would take to get his point across. 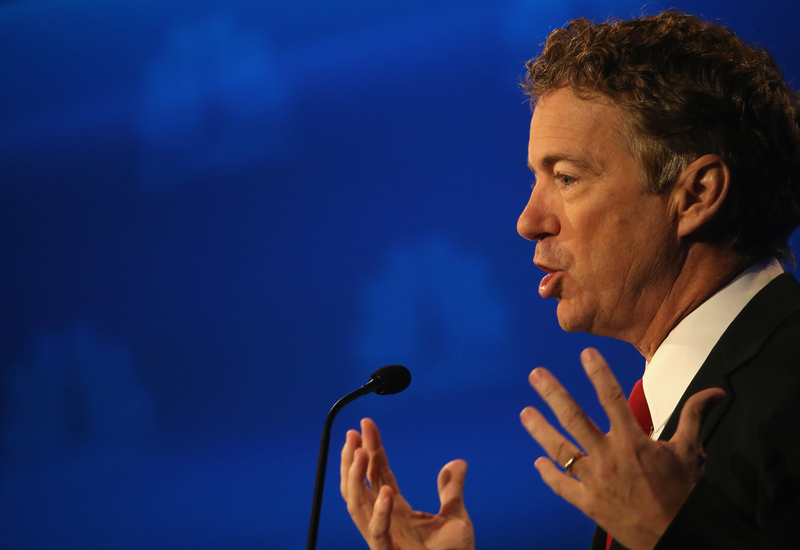 The only problem is that Rand Paul's budget filibuster didn't happen. Instead, he delivered a speech that clocked in at a paltry 19 minutes.During both his opening and closing statements at the debate, the Kentucky senator made it clear that he wanted "a government so small I can barely see it," and that his filibustering speech would be absolutely pivotal in the fight against the proposed budget spanning both fiscal years 2016 and 2017. What you're going to see in Washington this week is establishment Republicans have made an agreement with the president to raise the debt ceiling in an unlimited fashion; no limit to the debt ceiling raise... You'll see me on the floor of the Senate tomorrow filibustering this and saying enough is enough, no more debt. Well, that turned out to be a bust. Paul lacked the support needed to warrant a longer speech due to the fact that Senate Majority Leader Mitch McConnell had already filed a cloture petition following the legislation's passing through the House of Representatives on Wednesday. According to Rule 22 of the Senate, "under cloture, the Senate may limit consideration of a pending matter to 30 additional hours of debate." Even if Paul were to speak for longer, he'd have a set time limit. The longest the GOP hopeful would've been able to push his speech would be until midnight at the latest. However, the candidate would've needed his fellow Republicans to donate their speaking time in order to continue. Under a stipulation implemented by McConnell specifically for this incident, the extra 30 hours was divided up among politicians so that anyone who wanted to speak would have an hour of talk time to protest the proposed budget. Needless to say, no senators came forward offering to help Paul. Given the strength of his previous filibusters, Thursday's speech held the promise of improving Paul's image and sending a strong message to voters. Unfortunately, the candidate fell incredibly flat, which bodes terribly for a presidential hopeful whose numbers have dropped significantly since announcing his White House bid in April.